The Open Gardens Festival for the Greenwich & Bexley Community Hospice will be held on three days this year. 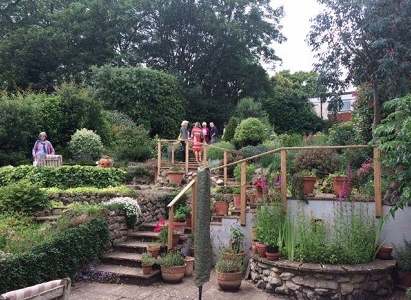 Saturday 11th, 12-3pm: only the hospice garden itself is open. and Kidbrooke, and a few in Eltham and Bexley. Greenwich and the rest in Eltham and Charlton. See www.communityhospice.org.uk for the full list. There are refreshments at most gardens - mainly tea and cake, but in one place it's cream teas, in another prosecco and strawberries, and in two others (in Greenwich) it's Pimms. And the cost is still only £10 for all gardens, even though the day starts earlier than usual at 12 noon, giving you five hours to get round all 15 gardens on each Sunday before 5pm. If you only want to see one or two, there's the option of paying £3 per garden. All proceeds go to the hospice. The nearest one to the Triangle is the Prior Street Allotments, SE10 8SF, where 18 allotments of different sizes are devoted mostly to vegetables and fruit. Allotment holders will be on hand to answer any horticultural questions. Refreshments: tea and cakes.